Perfect in size and style the pants are sometimes faulty in length and require shortening. 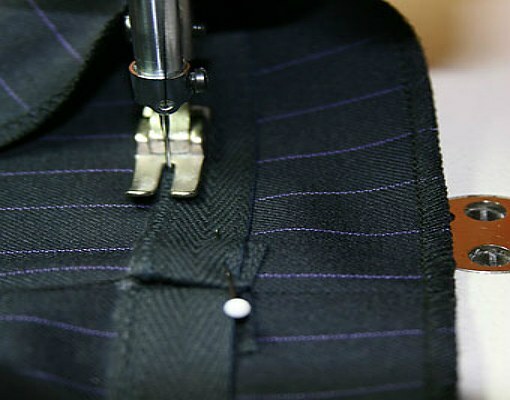 Hem pants in the presence of a sewing machine is not difficult, but need precision. Put on the pants and mark the length of the leg (mid-heel). Place the product on a horizontal surface of the rear half to himself, on the other leg should be visible white mark (the bottom line). Then from the labels measure 1.5 cm place another (No. 2) label. Take a square with right angles and toward the front inflection trousers and label No. 2 draw a straight line to the seam, and then connect with mark No. 1. Leave a hem allowance for the items in the range of 4-4. 5 cm, because the newly purchased pants after washing may shrink. Stepping back 4.5 cm down from the first line (bend allowance), a parallel line cutting, which cut off the excess fabric. 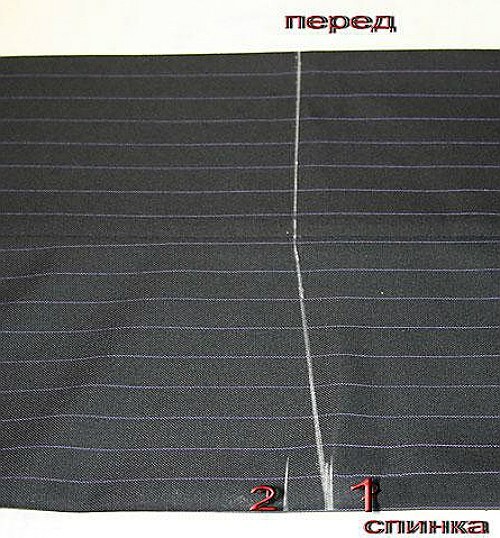 Sewn edge stitching "zigzag" or on the sewing machine "overlock". Selectivite braid. As the braid is made from natural and durable fibers after water treatment it gives strong danepak. To further the bottom of the pants are not wrinkled, it is good to expose the ribbon the type of thermal treatment. Carefully steam the ribbon of a very hot iron with steam generator. Or soak the tape in hot water and soak for a while, then dry. Processed pin ribbon to the line of bend of the leg. 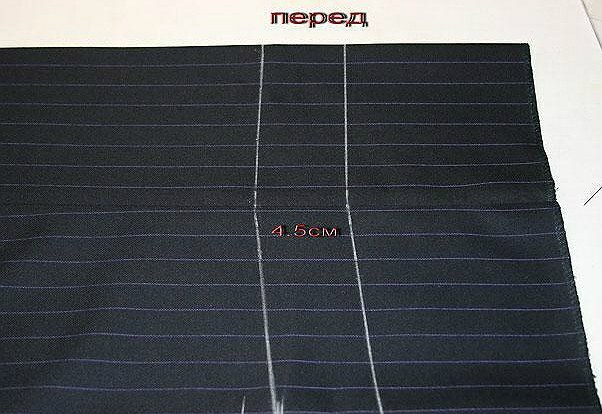 Sew on the sewing machine, paving the line on the tape at a distance from the edge strip 0.1 cm Hide little corner of the ribbon with a needle under the fabric strip to the front side, they were inconspicuous. 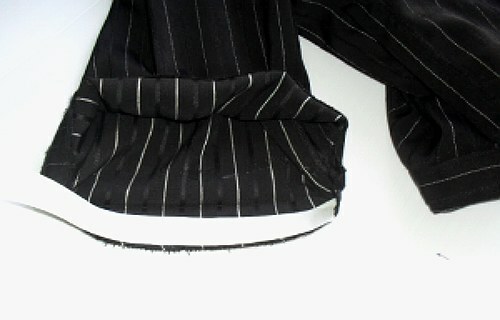 Fold the seam allowance together with a tutu is a ribbon on the inside of the pants. Make a roll of 0.1 cm, so the face of the tape is not sticking. Cover your ACC provisional Stickam. 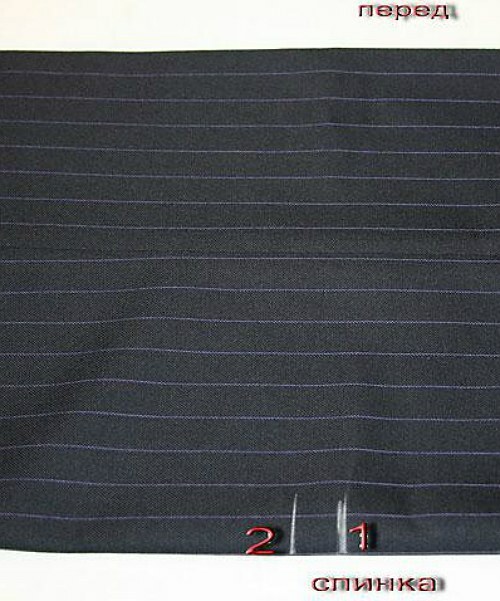 Hem the lower part of the pants concealed stitches manually by folding the seam allowance to 0.5 cm. 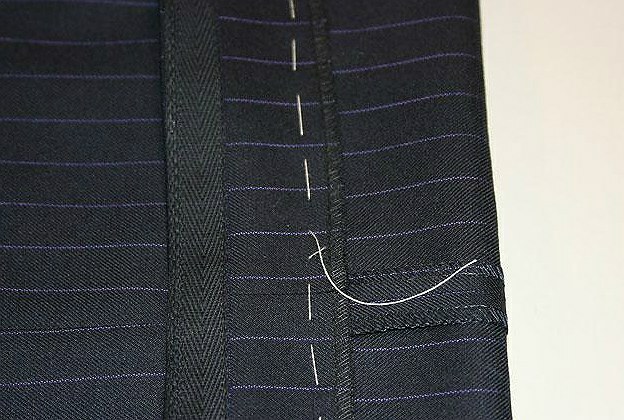 It is better to use to fasten the bent edge of the fabric bottom of the pants elastic seam "goat", which is like hiding inside. Sewing is necessary, weakening the thread. 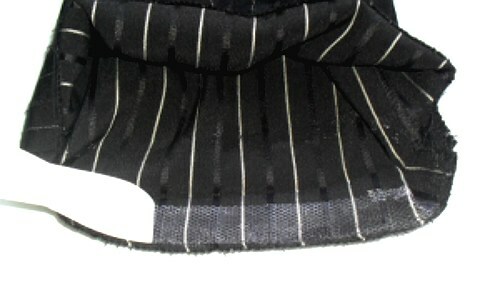 This hem will be invisible from the front side of the pants. Proutyuzhte pant leg. Similarly, the second hem a pant leg. 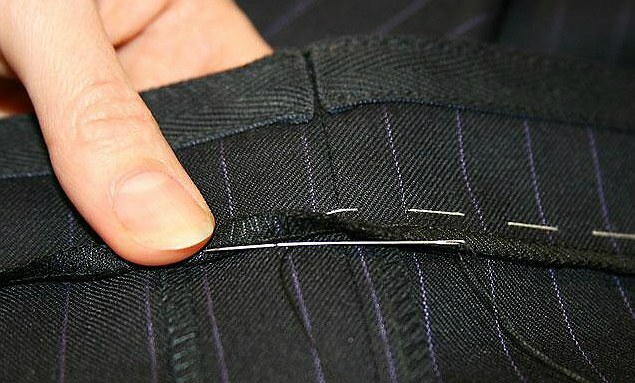 It is also possible to shorten (lengthen) the pants with the help of adhesive tape. Take a tape a specific length equal to the width of the leg opening. Apply the sticky side of the tape on the wrong side of the trousers. Glue it with a hot iron, paving the sole of the iron on the paper side of the tape. So glue across the entire width of the trousers. Let cool, then peel off the paper. Overlap the seam allowance of the Trouser on a sticky seat and walk again the steam iron. This method is faster than to sew, but keep in mind that after washing at temperatures above 40°C whole stock come off and again you will need to iron iron. This method allows you to instantly change the length of the pants, if you change the shoes on the heel.